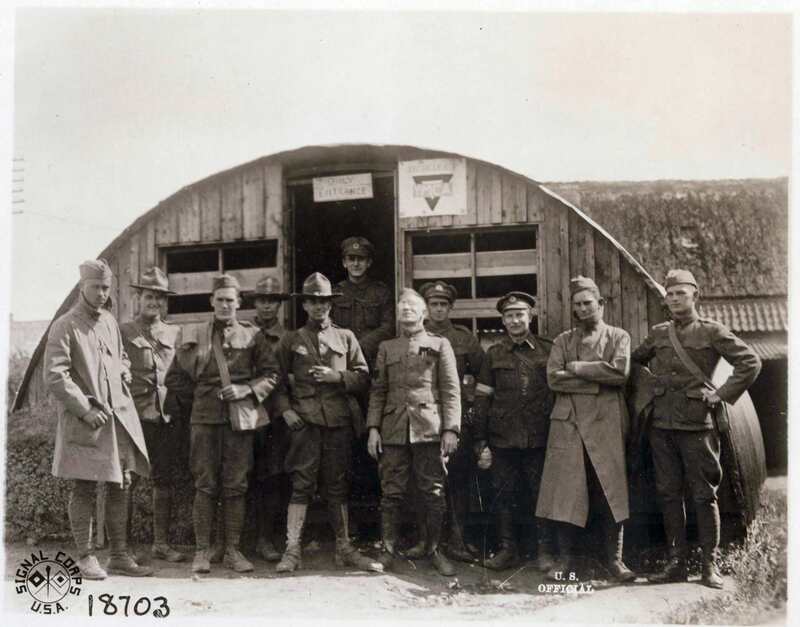 This is the second of a two-part blog post series entitled "North Carolinians and the Occupation of Europe," exploring the end of World War I and the U.S. Army of Occupation’s time in Europe from the end of November 1918 through July 1919. The posts are looking at the experiences of North Carolina military service individuals and female volunteer workers during their time on occupation duty in France and Germany, specifically. Part 1 is an introduction to the how the Army of Occupation was formed, and how the time of entrance into active military service of various North Carolina military units determined when they returned to the United States after the Armistice was declared in November 1918. With no combat to keep men and women in military service busy, life could grow quite boring in occupation France and Germany for American troops. Isham Hudson noted in a January 14, 1919, diary entry while located somewhere in western Europe on occupation that “. . . This is a pretty lonesome place. We spend our money just to pass away the time. Some intoxicate themselves to pass away the time, I guess.” Men often got lonesome for something familiar and American, or at least British, that they could relate to and understand: “Hot chocolate was served down at the ‘Y’ [military camp YMCA] to-day. Talked to the woman serving. She was the first English-speaking woman I have talked to in six months. Some life,” wrote Hudson on February 13, 1919. The end of combat also gave American service individuals time to reflect on the purpose and meaning of military service and life, like Charles Dunn did in his June 6, 1919, letter home: “Was there ever anything like this military life? We left our happy homes and went to hell to rid the world of militarism and now (and its been that way all thru) we get it rammed down our throats twenty six hours a day nine days a week.” Military drills to keep men fresh, reviews of regiments and divisions by military officers and European royalty became a normal part of life during the occupation for U.S. troops. 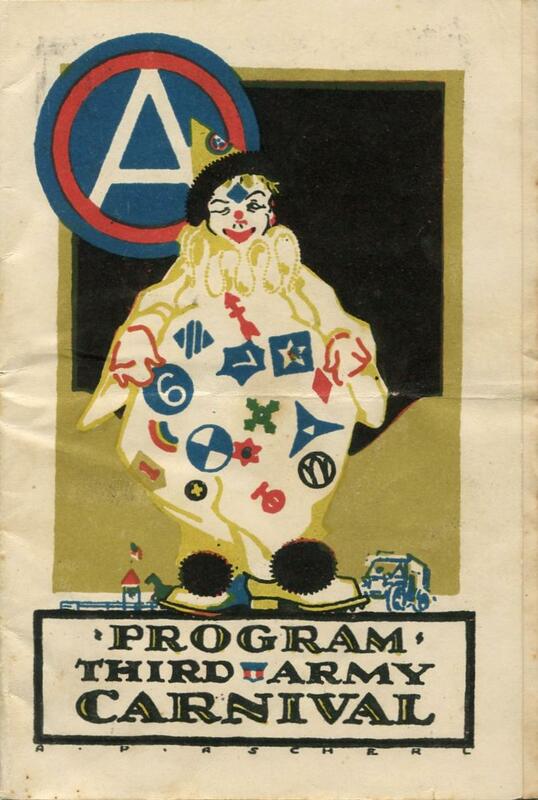 Entertainment in occupation Europe was provided for the American forces by the YMCA, the Red Cross, and various U.S. military entertainment corps. Free food, paper for writing letters, coffee and hot chocolate, dances, and films were shown at military camp YMCA buildings around western Europe: “The work of the Y [YMCA] over here is founded on the principle that what the boys want is clean American fun and entertainment—and hot chocolate. And that is what they do want” [Ann P. Bridgers, letter home, written April 6, 1919]. 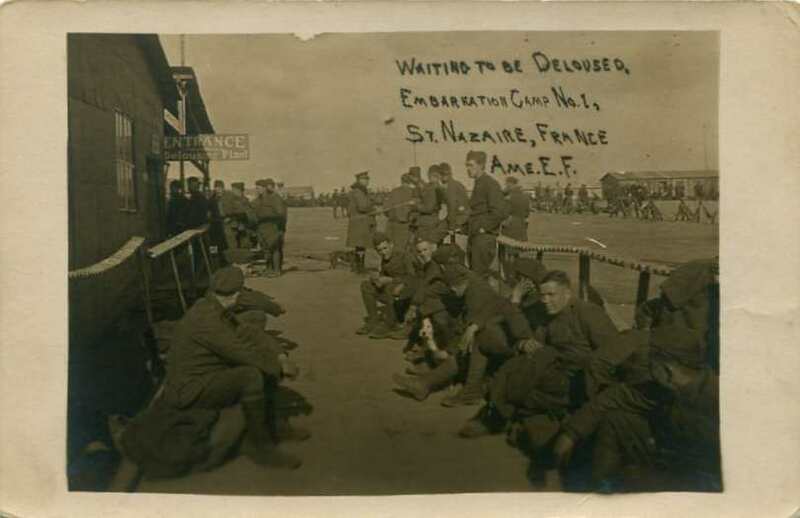 The U.S. Third Army also threw athletic events—like cross country meets—and carnivals to keep the men in different military camps and occupation regions engaged physically and mentally during the occupation. Another pastime for the American male service individuals were the female Army nurses, YMCA volunteers, and other American female military personnel. Army nurse Laura Doub noted that “We were not the first [women] to get to France but almost the first to get to Germany (women I mean) and you should see the people turn and stare at us—and the boys grin—One is always around to ask if he may carry your bag, etc.—they seem glad to see us” [Laura C. Doub, letter home, dated February 11, 1919]. Another way that military units and men passed the time was by the formation of veterans’ associations before all of the men separated from contact upon returning to America. 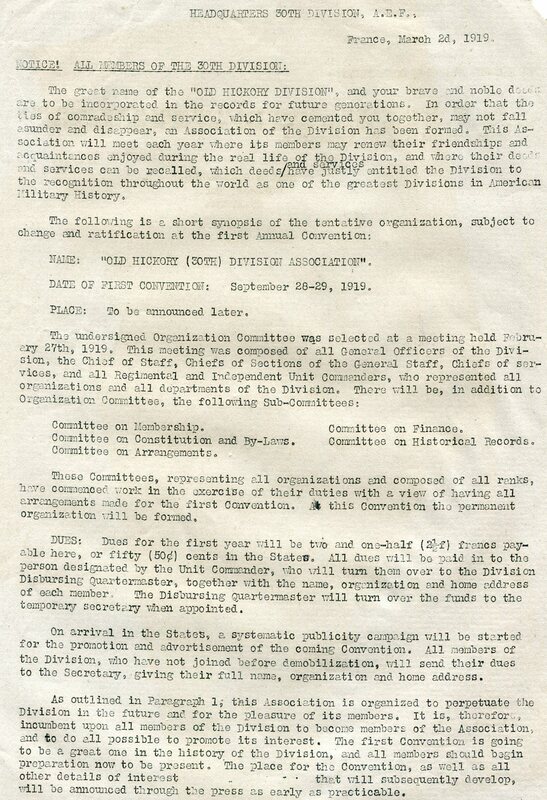 The 30th Division’s “Old Hickory Division Association” was formed in France in March 1919, with the official announcement sent out on March 2, 1919. 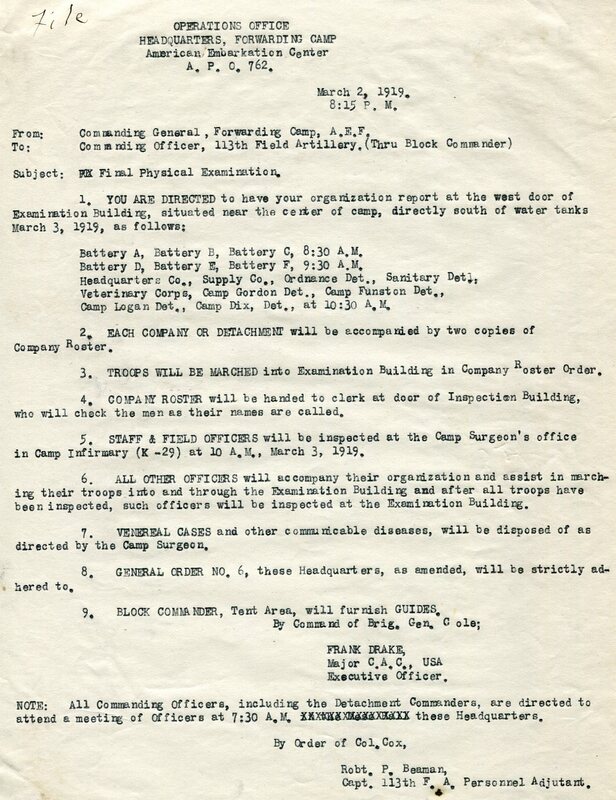 Military units also spent the downtime in occupation duties to write official histories of company, regiments, and divisions. 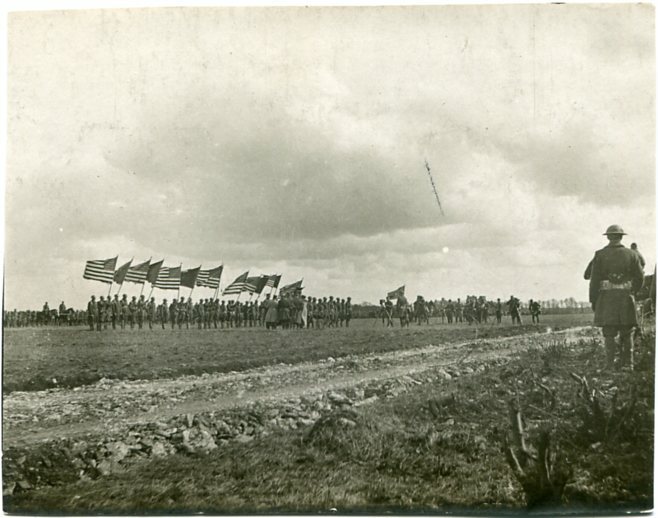 The 321st Infantry of the 81st Division compiled and wrote their unit history while in Europe, and published it upon arriving back at Camp Jackson in Columbia, S.C., in 1919. Many other units wrote and published their histories in Europe between January and July 1919. 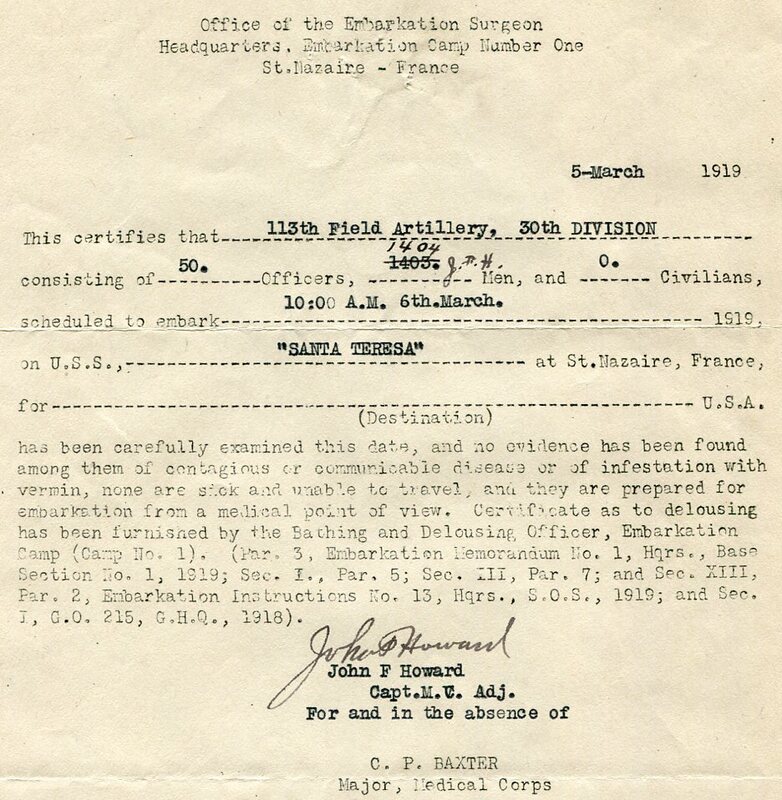 These proved extremely important, as all of the official unit records were in one easily-to-access location, with recent knowledge of events able to be recorded for posterity. These histories became extremely popular after the war in the U.S., and were often given to or purchased by every member of a given military unit. “As I neared Brest, dear little Freddie filled my thoughts more and more. Friday afternoon I went out to Lambesellec [or Lambezellec] Cemetery where he is buried. I wanted to go alone and I hoped that my meager French would get me there. Fortunately an American soldier came to my rescue. He said he was going there, too- so he took me out and helped me find Freddie's grave. That boy was a dear. He seemed to understand so. The cemetery is well cared for by the American soldiers, and the French take flowers out to put on the boys' graves. I wrote Aunt Dodie. I do hope the letter will be some comfort to her. We had such dreadful ideas of Brest at home that I hated to think of Freddie's being here. But instead of his being among strangers in a ‘mud hole,’ he is resting in a very lovely place—a hill overlooking the harbor—among friends. It is comforting to me” [Ann P. Bridgers, letter, dated March 31, 1919]. As was the case with many North Carolinian service individuals—especially those who had never traveled anywhere before WWI—their time spent in Europe and on occupation duty led to a greater appreciation for the lives and country they had in the United States. YMCA volunteer Ann Bridgers wrote about this that “I love France—but I never half appreciated America until I came to see Paris. I had to come to France to find out how splendid American men are. I don't mean anything spectacular by that but just clean minded and good fun and ‘straight’—that's a good word—straight” [Ann P. Bridgers, letter home, dated April 5, 1919]. When North Carolinians were preparing to return home to the U.S., they had to go through an entire physical examination process, to ensure they were free of venereal diseases, lice, Spanish flu, pneumonia, and other medical issues. These could compound themselves and sicken others during confinement on troop transport ships in tight quarters with thousands of other men and women on board. Soldiers had to go through “delousing stations” and treated for any vermin on their person before boarding the ships. The two most common ports in France for American and North Carolinian troops to disembark from were Brest and St. Nazaire. Summing up the general experience of American servicemen preparing to leave to return to the U.S., YMCA volunteer Ann Bridgers wrote that “I go to Le Mans [France] Saturday. It is about the largest camp in France. A concentration camp where the boys are sent before sailing, where they get rid of the cooties, have their paperwork done, and physical examination. It is a good appointment and I am very much pleased with it” [Ann P. Bridgers, letter, dated April 3, 1919]. Home was never more desired than in April 1919 and July 1919, when the great majority of North Carolina soldiers found their way back home. 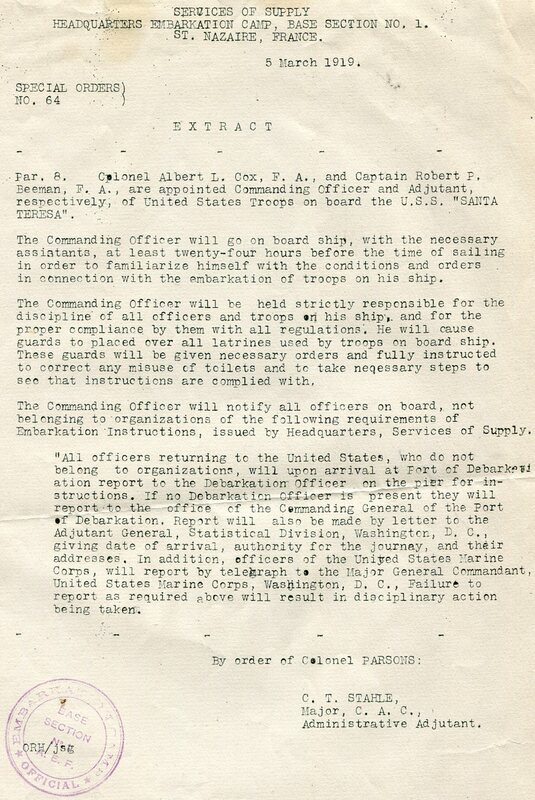 Many ended up being sent to multiple camps of debarkation, intended to process out. 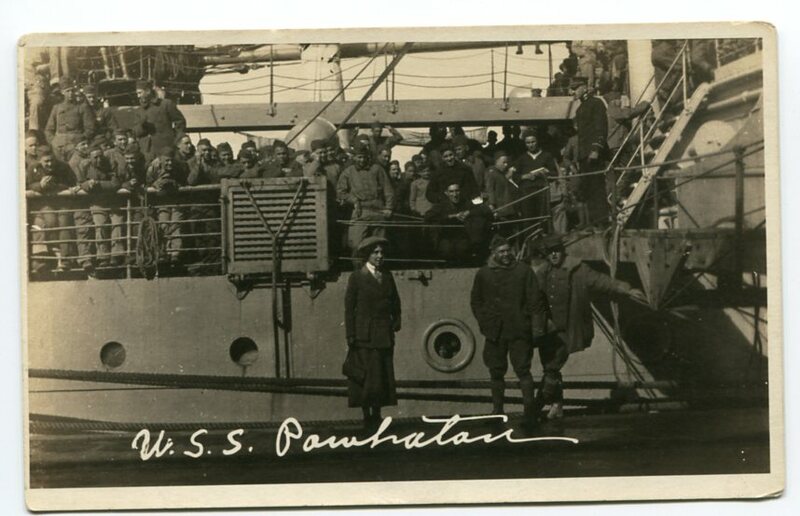 Mostly, North Carolina soldiers returned aboard transport ships at the following ports: New York City; Hoboken, New Jersey; Philadelphia; Norfolk, Virginia; Newport News, Virginia; and Columbia, S.C. The men were bused or shipped by troop transport train to military camps, where they were put in separate isolation barracks to have physical inspections conducted. During this period, their financial accounts with the U.S. military were finalized, their wartime life insurance policies were cashed out, and the men would be discharged. 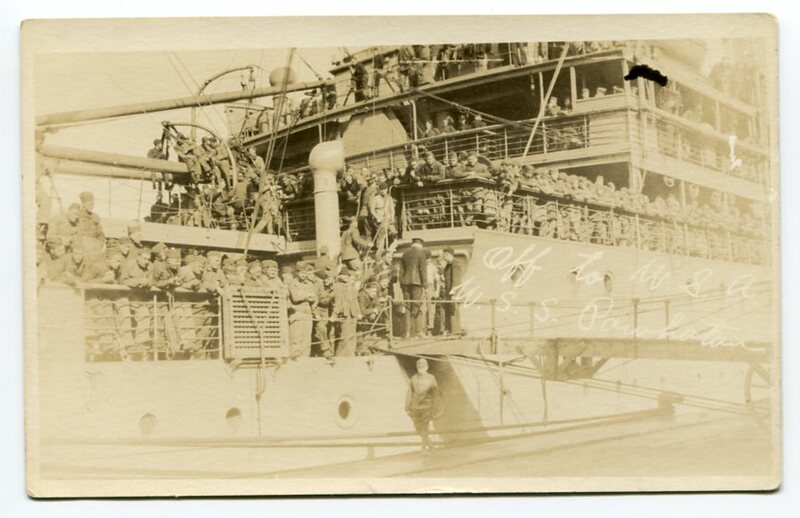 Typically, after arriving by transport ship back in the U.S., American soldiers would be discharged within three weeks of arriving at their mustering-out camp. It should also be noted that for those men in the 81st Division who did not get discharged until July or early August 1919, they had returned home three months after the 30th Division men had, meaning jobs, potential significant others, and places in colleges were already filled. Returning veterans faced challenges in immediately having to adapt to their new reality, after having served in a kind of war truly never experienced before in human history. Not all succeeded. Suicide rates would be significant for returning troops, with a number giving up on their lives especially during the Great Depression. Many suffered from poisoned gas exposure, with its worst symptoms not showing up until much later after the U.S. military declared men to have been healthy when they were being discharged (meaning their veterans benefits were not paid in the 1930s with the new veterans law, and medical costs were not recognized or covered). Those North Carolina servicemen and servicewomen who did return and have families, never talked about WWI with their children. Since 2015, I have interviewed or met with the children of 15 WWI veterans from North Carolina, and they all share the complete lack of willingness of their fathers to discuss the war—not even during WWII. Sometimes, it is not until recent years—when these veterans’ children are in their 80s and 90s—that they finally learn where their parents served, in what units they served, and why they did not discuss their experiences. The effects of World War I did not simply end on what we now call Veterans Day. They carried over to a new generation during WWII, then during the Cold War, and even now in present-day Europe and the Middle East. The effects of WWI linger.